The Chronometer’s Orchestra is coming to WOW Amsterdam! 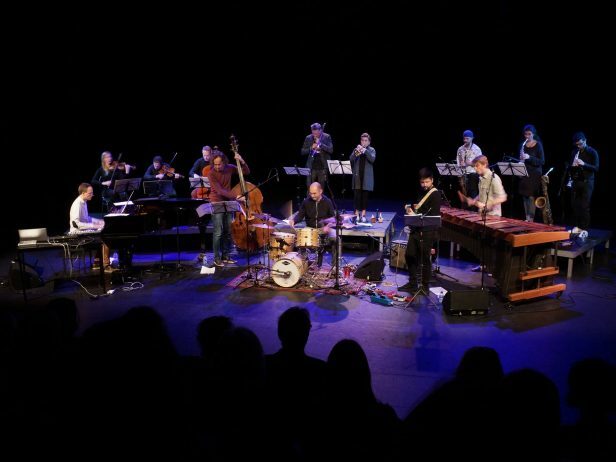 Prize winning experimental and avant-garde composer Zacharias S. Falkenberg presents with his orchestra, The Chronometer’s Orchestra music that combines experimental Jazz with contemporary classical music and electronics. It’s a top notch orchestra that surprises its listeners with complex rhythms and insane harmonies. Influences are among others Frank Zappa, Miles Davis, Karlheinz Stockhausen, Dead Kennedys and Can. Against the grain, crafted for misfits and a real alternative in a mediocre music industry, the music assembles a feeling of anti-establishment and chaos. A true underground insider-tip for people looking for anti bourgeois-culture and alcohol!